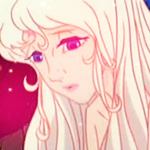 Amalthea. Do not upload to any other spot, website and give credit if you use,thank you <3. Images in the pagkabata animado pelikula pangunahing tauhan babae club tagged: heroine safira-09 non disney icon amalthea.